We love the Freelance Traveller website and its Freelance Traveller magazine. It’s one of the best resources for Traveller Referees and players on the internet, with a massive wealth of Traveller information available for free. 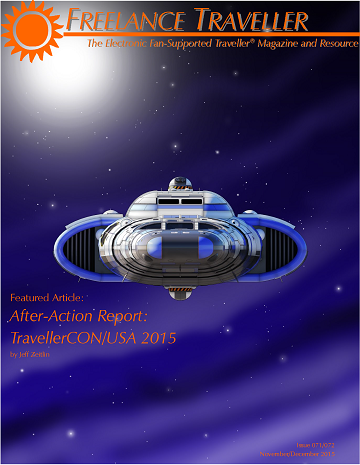 Freelance Traveller is a resource where you can find information on all aspects of the Traveller science-fiction roleplaying game. You can also find the Freelance Traveller magazine, which is free to download and is published once a month. The Freelance Traveller magazine is a created-fan resource put together by Traveller author Jeff Zeitlin, who also runs the Freelance Traveller website. Please contact the Freelance Traveller website or magazine if you have any questions or suggestions.